Dambuster Studios' technically ambitious game - Homefront: The Revolution - may have been just too taxing in its original form for console hardware. As impressive as it was visually, console frame-rates suffered badly at launch, with wildly fluctuating performance marring the experience. 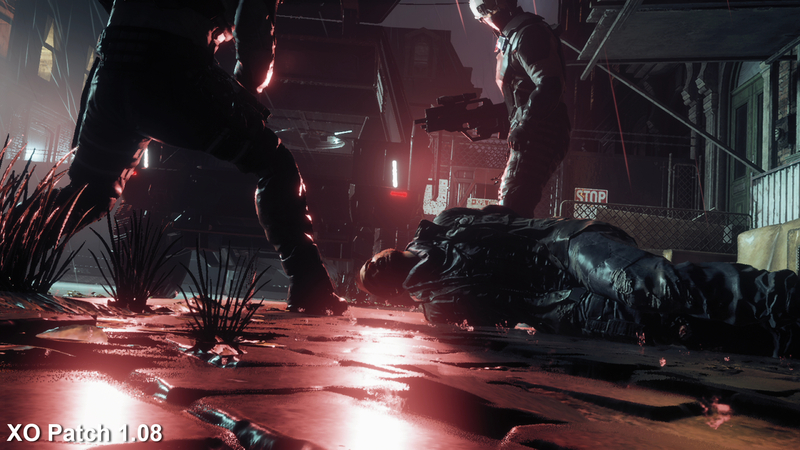 When it comes to first person shooters, 30fps really should be the minimum - and if you're dropping below 20fps, you've got problems. Previously, we highlighted some genuine progress with Homefront: The Revolution's ongoing optimisation, where the developers were able to hand in performance improvements of up to 25 per cent in patch 1.06. However, despite the promising improvements, we were still some way off the game's target 30fps. Until now. 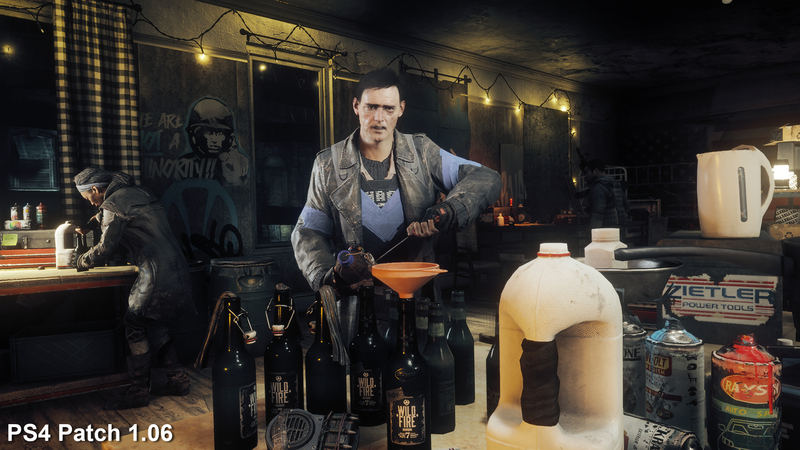 The recently released patch 1.08 sees a far more aggressive push to get Homefront performance up to snuff, and appears to take the form of another round of optimisation improvements paired with some smart, well-judged downgrades in the visual department. 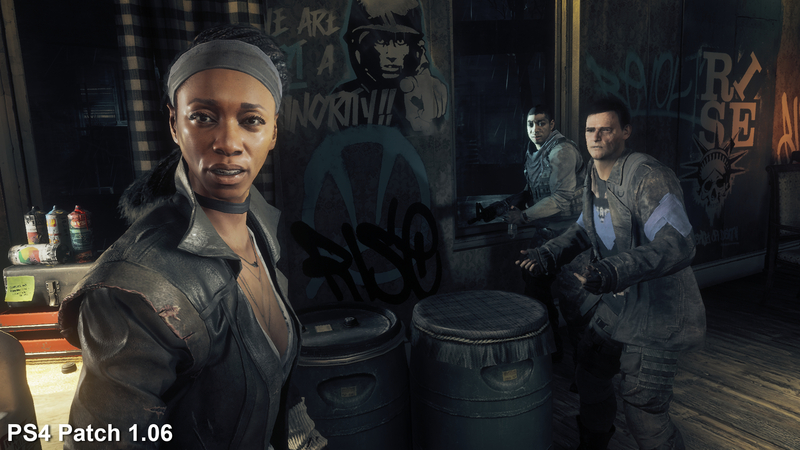 Before we plough on into the performance improvements, here's a look at the principal differences we noted between Homefront before and after its latest update. To cut a long story short, while the core art assets in Homefront remain identical, it's clear that Dambuster Studios has revisited the application of lighting and shadows in order to get closer to the 30fps target. Principally, it's dynamic lights and object shadows that bear the brunt of the cull, removing some of the depth and complexity to the scene. 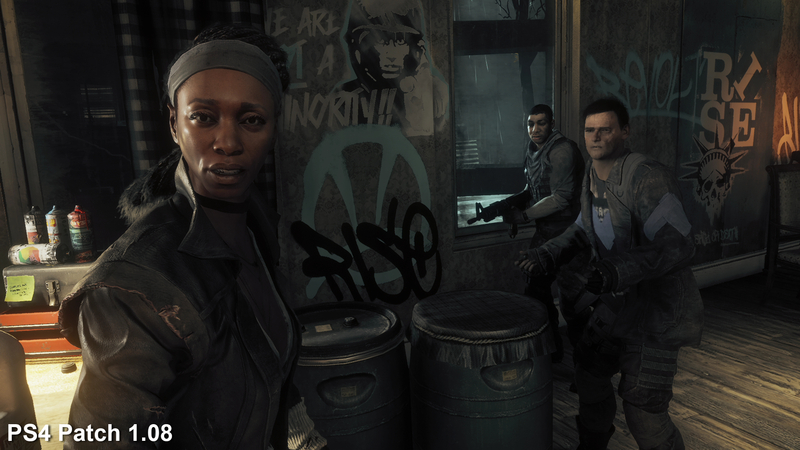 However, there's also the introduction of a strange dithering effect in some areas, while the end result can see some fairly dramatic differences in cut-scene playback, the overall look of gameplay remains very close. Dambuster has also made some nips and tucks to the effects pipeline - big explosive effects now show simpler post-process effects and fewer performance-sapping alpha effects. 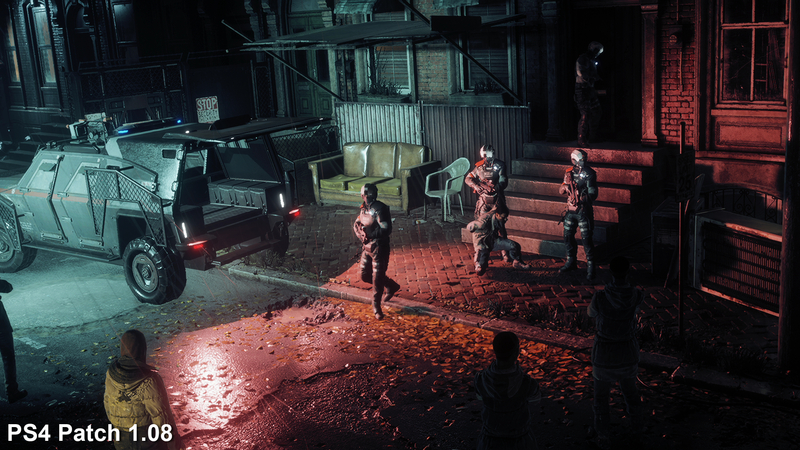 Homefront: The Revolution didn't get off to the best of starts on PlayStation 4 and Xbox One, and this opening scene gives a great example of the visual cutbacks needed to fix its frame-rate issues. 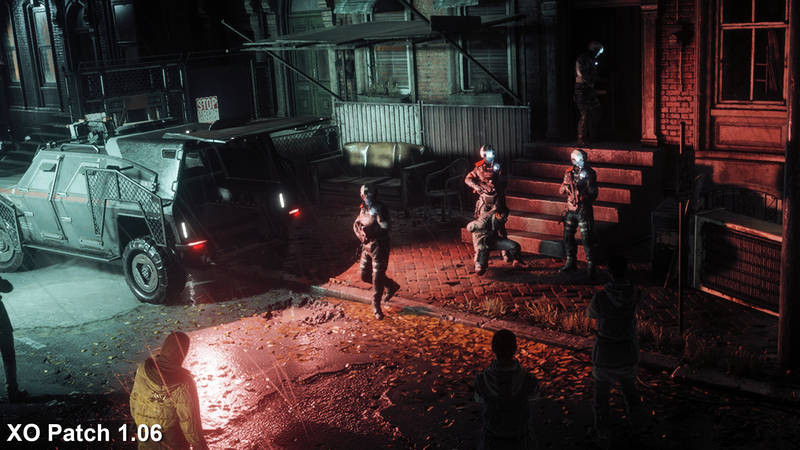 On Patch 1.08, the team reduces engine load by removing spotlights - causing a shift in lighting across the central character. Object shadows are removed in busy city streets too (though notably stay in place while indoors). Note the lack of railing shadows across the vehicle on left, the plants on the right, and also across the couch at centre. A dithering artifact is also introduced across certain elements on the ground - perhaps a triangle culling trick to reduce GPU draw. We still see the parallax occlusion mapping here to give the brickwork definition, but this is now paired with an unusual speckle effect. Resolutions remain unchanged between the two consoles, with PS4 set to a native 1920x1080, and Xbox One sticking to 1600x900. The main visual changes on patch 1.08 relate to the shift in lighting during cut-scenes, removed shadows, and the introduction of dithering - and also the dialing-back in effects quality during explosions.. In terms of the differences between Xbox One and PlayStation 4, the differential remains similar to previous versions of the game. 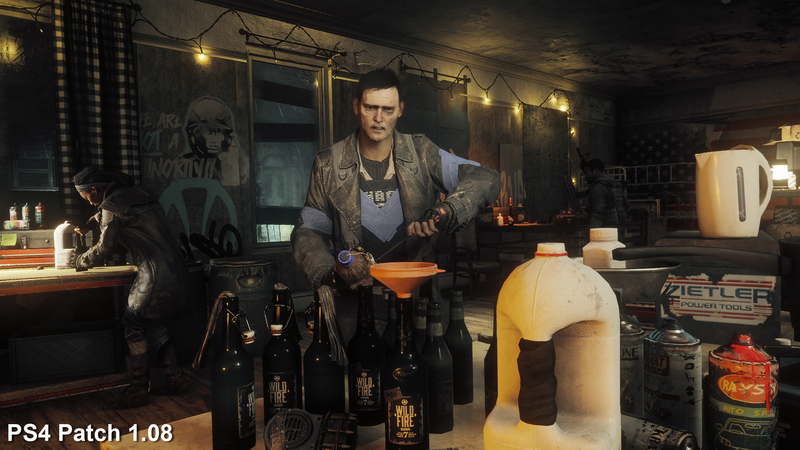 The Microsoft platform continues to render at 900p compared to the full HD presentation of the PlayStation 4 edition. In practise, this translates into nothing more than a little extra blur and a touch more edge shimmering. Xbox One also has a slightly downgraded effects pipeline, as seen in a slightly less impressive depth of field effect. On the upside though, the Microsoft platform continues to show slightly improved performance compared to its Sony cousin. And when we look at performance, there's a night and day difference. 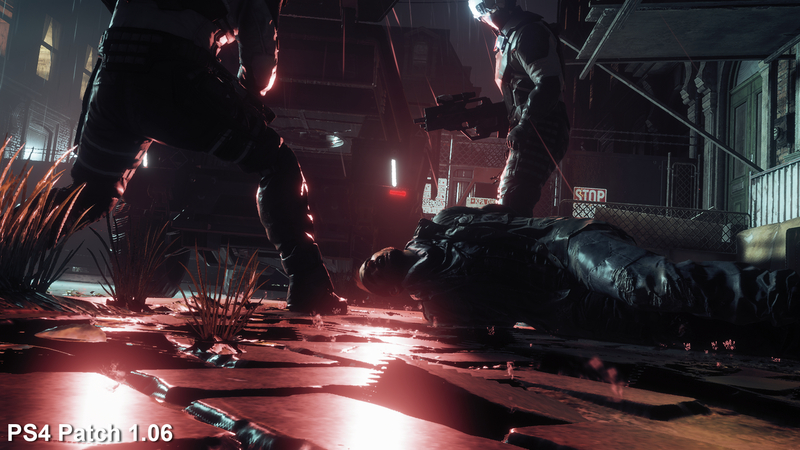 Action-packed scenes that could see performance drop to 20fps or lower now routinely hit the 30fps target, or get very close to it in the most intense areas. PlayStation 4 in particular can wobble slightly in alpha-heavy scenarios, but it's a huge improvement across the board overall. In short, the strategic nips and tucks that only make a minor impact to the look of the game are paying off massively in terms of smoother, more responsive gameplay. There's a night and day difference in frame-rate between Homefront: The Revolution's latest update and its predecessors. Fundamentally, if you've been put off by Homefront's notably poor performance, now is the time to take another look at the game - and it goes without saying that if the title has been gathering dust in your collection, we'd recommend taking it out for another look. We're not getting a locked 30fps experience, but it's very close to it for the vast majority of the gameplay experience, and this represents a significant upgrade to the quality of the core gameplay, even if Dambuster Studios did have to tangibly pare back some of the most demanding visual features. With both versions running side-by-side, it's relatively easy to see how the developer managed to claw back the additional performance - but it's also something of a unique insight in showing how a little more visual flair can actually result in a relatively large impact to performance. 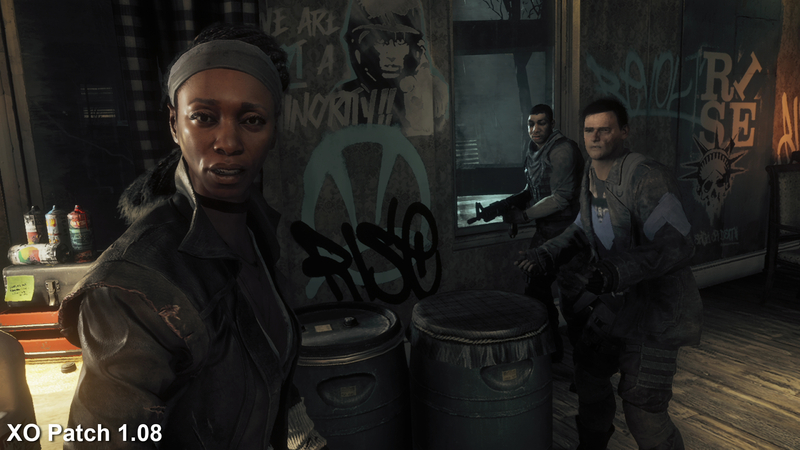 Revisiting Homefront in order to put this analysis together, we had a lot more fun with the game, simply because it didn't feel as though we were battling so much with the shortcomings of the engine. On top of that, while plenty of tweaks have been made to the core visuals, the low-key impact they make ensures that this remains a visually arresting title.